8 in. Directional Markers are easy to place and remove. 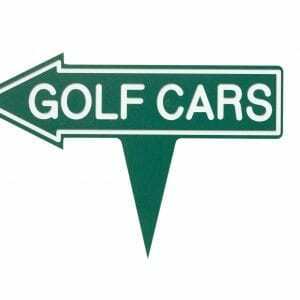 These multipurpose markers are extremely helpful for guiding golfers in the right direction around the course. Durable 8 in. 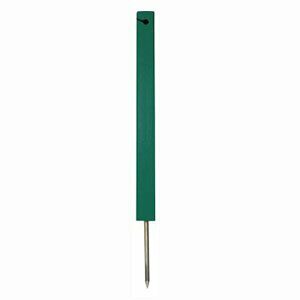 recycled plastic white stakes with a 4 in. vinyl cap. 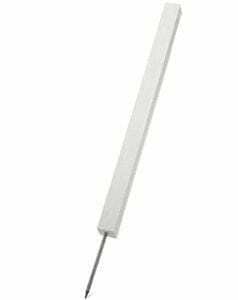 Sturdy stainless steel spike measures 5/16 in. (0.8 cm) in diameter. 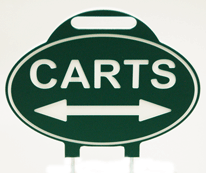 Versatile — direct cart and foot traffic, protect wet areas and new sod, place in front of greens, etc. 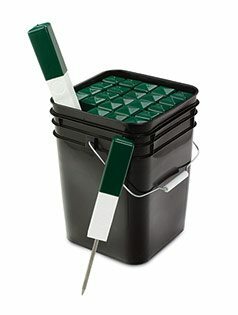 Sold in quantities of 25, includes a carrying/storage bucket. Bucket keeps product clean and easy to transport.